For information on presenting a demonstration at Safety Fest TN, please see the bottom of this page. Demonstrations will be held outdoors in various locations at New Hope Center. Click here﻿ to view and print a flyer of events. Note: All outdoor activities are dependent upon good weather. In case of rain or severe weather, demonstrations may be rescheduled or cancelled. KUB Live Line Demo - Tuesday, Apr. 30, See class registration to register for this demonstration. TVA Slip Simulator - Tuesday, Apr. 30, 1:30 pm, 2:30 p.m.
Brought to you by Associated Scaffolding. UT LIFESTAR is the East Tennessee Region's choice for air medical critical care transport. Serving a 150 mile radius of Knoxville, UT LIFESTAR's patients and healthcare partners can expect safe and patient-centered care from our experienced flight crews. Supporting the region, UT LIFESTAR utilizes two American Eurocopter EC-135 helicopters and two Bell 407 helicopters. 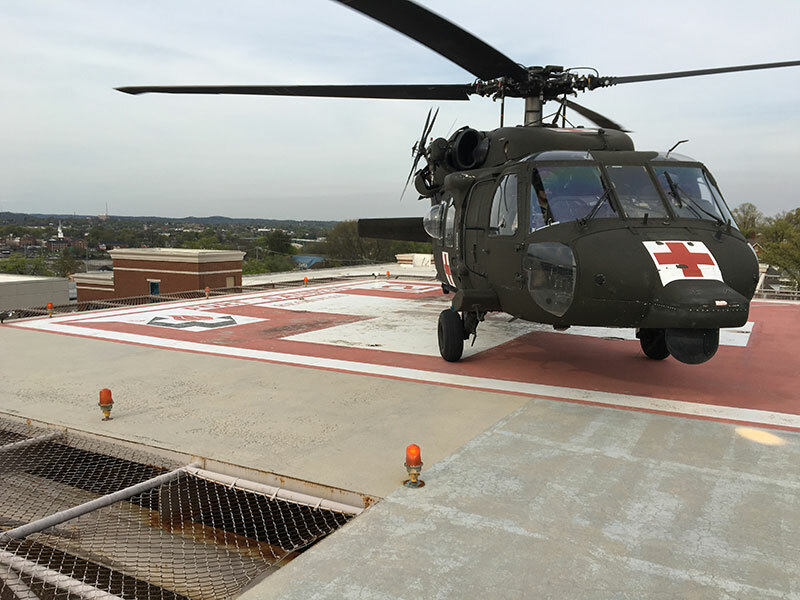 The aircraft are strategically located, delivering solutions for rapid helicopter transport and definitive and life saving emergency care, to East Tennessee, Southeast Kentucky, Southwest Virginia, and Western North Carolina. Brought to you by UT LIFESTAR. BLACKHAWK landing – 8:00 a.m. Crew Question & Answer – 8:30 a.m. – 1:30 p.m.
Pike's truck produces primary line voltage which allows them to effectively demonstrate electric hazards and work procedures such as: proper PPE use and care, recloser operation, de-energizing lines, and safe storm work procedures. Brought to you by Pike Corporation. Click on the link (or copy and paste it into your browser address line) to view the “Call for Demonstrations form﻿" fillable online form. Send the completed form to demo@safetyfesttn.org. 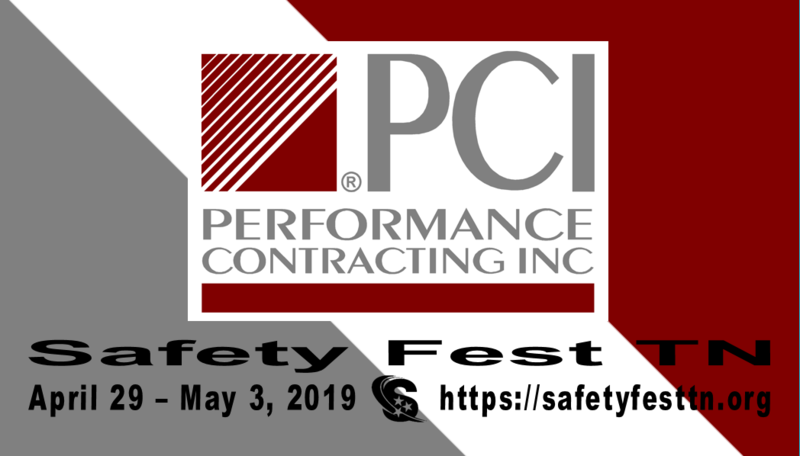 Safety Fest TN demonstrations provide pertinent, timely and practical information on environmental, safety, health, police, and emergency management subjects applicable to life at work, at home or in the community. There is ample time for networking and marketing during breaks, lunches and the Safety Expo. Excessive marketing of products or services (i.e., infomercials) during Safety Fest TN demonstrations is not appropriate. What happens after submitting a form? The Demonstration Team will review submissions. You will be notified via email or phone if clarification or additional information is required.